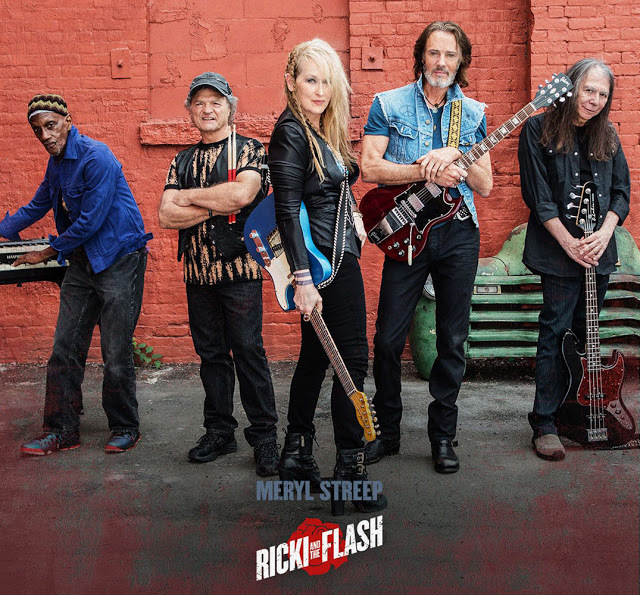 Home / MOVIE REVIEWS / Movie Review: Meryl Streep in "Ricki and the Flash"
Movie Review: Meryl Streep in "Ricki and the Flash"
Meryl Streep has been an epitome of a versatile actress. She has portrayed memorable varieties of characters in the big screen. 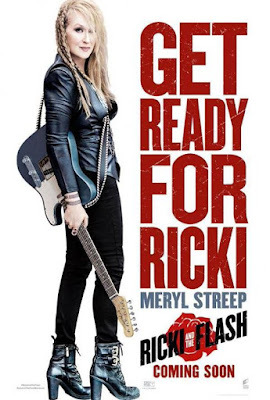 In her film "Ricki and the Flash" she took the challenge of learning how to play the guitar, and being a cool rocking vocalist/lead guitarist of her own band. The film tackled the idea of a broken family and how it affects the children left behind after the separation. The film that reminds you of her singing prowess in "Mamma Mia" and strong comedic-dramatic performance in "It's Complicated." Meryl Streep takes on a whole new gig – a hard-rocking singer/guitarist – for Oscar®-winning director Jonathan Demme and Academy Award®-winning screenwriter Diablo Cody in TriStar Pictures' “Ricki and the Flash.” Read more: Meryl Streep Learns to Play Guitar for "Ricki and the Flash"
Here are some of our thoughts in the film "Ricki and the Flash"
• Meryl Streep has performed an impressive and convincing hard-rocking singer/guitarist in this film. The way she handled the guitar and moved like an experienced musician is perfect for the role. • The mother-daughter tandem and scenes of Mamie Gummer (Julie) and Meryl Streep (Ricki) are the right balance of drama and comedy. • Overall the film was enjoyable. It has the right mix of comedy and drama with a hint of music that the older and younger generation would relate to. • The film also gives a glimpse on a life of a dreamer who tried to follow her heart even if it would cost her almost everything. Some parts of the plot might be a little overboard but still it is a feel good film to see with your friends or family. Mamie Gummer Shares Screen with Mom Meryl Streep in "Ricki and The Flash"